Will Manchester United strengthen in the January transfer window? We look at potential ins and outs and consider what key position needs filling. Solskjaer is yet to add to his squad this January as United look to close the gap on the Premier League's top four, while the club also have a Champions League last-16 tie with Paris Saint-Germain in February. Here, we look at who has been linked with a move to United, while Soccer Saturday pundit Paul Merson picks out two players they should be targeting. Ole Gunnar Solskjaer has been praised for reinvigorating United's attack, with Paul Pogba and Marcus Rashford both enjoying an upturn in form under the caretaker manager, but it is defensively where United have needed to strengthen for some time - highlighted by the current top-four's far superior goal difference over both United and Arsenal. 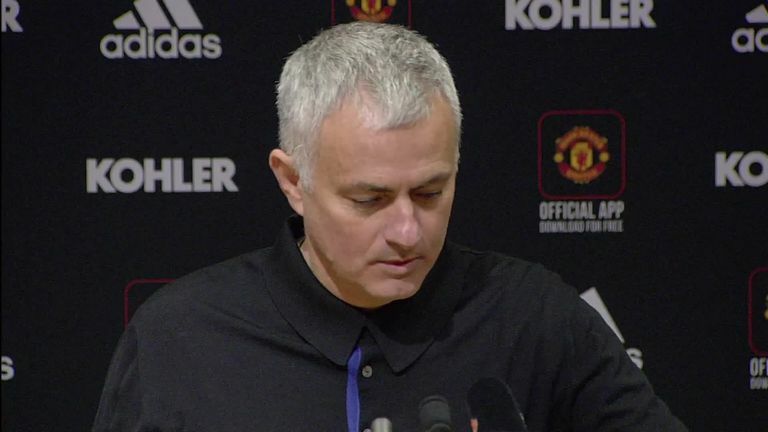 Former manager Jose Mourinho was unable to bring a centre-back to Old Trafford in the summer, with attempts for Diego Godin, Toby Alderweireld, Harry Maguire and Jerome Boateng falling through. In his final month as manager, Mourinho jokingly made another dig at United's apparent inability to compete with their rivals in the transfer market, asking "Are we saving money?" when he entered a press room without any water. Beyond the reports United will sign 16-year-old Noam Emeran from Amiens SC, the club have been linked with a January move for Napoli defender Koulibaly, but reports in Italy suggest Real Madrid are ready to rival their interest with a £90m offer for the centre-back. The Spanish club are also said to be vying with United for 20-year-old Eder Militao of Porto, whose £44m release clause rises to £66m in the summer. The reported £32m release clause in Kostas Manolas' Roma contract has led to talk of United looking to bring in the centre-back, but not until the end of the season. Meanwhile, Celtic have enquired about bringing 22-year-old United midfielder Scott McTominay to Celtic Park on loan. The Scotland international has made only three starts in the Premier League this season and four substitute appearances. Sky Sports News also understands that Manchester United are aware of the interest from Juventus in Matteo Darmian, but that no formal offer has been made. Sky in Italy are also reporting that Bologna want Juventus defender Leonardo Spinazzola and if that happens, Darmian could be a replacement for him on loan. "Defensively they are not good enough. I dread to think what the score will be against PSG in the Champions League next month. They need defenders. If it were not for bad finishing by Tottenham then it could have been any score. "Alderweireld probably could be purchased at a reasonable price, too. It would be a smart move especially as it would weaken Tottenham immensely." "Toby Alderweireld and Kalidou Koulibaly are two players United should be targeting. Those two are the best two centre-backs in the world, along with Thiago Silva. Alderweireld probably could be purchased at a reasonable price, too. It would be a smart move especially as it would weaken Tottenham immensely." Solskjaer has played down talk of arrivals. Asked last week if he expects United to bring new players in, Solskjaer replied: "No, not really." It is understood, however, that if they can secure a defensive target this window, they will do. McTominay has been the subject of reported interest from clubs in the Championship as well as Scotland but Solskjaer has talked up the player's value and, with Marouane Fellaini injury, appears keen to keep him in his ranks, saying: "Scott is working hard. He is a young boy I believe in. We are working on his contract. One piece of key business would be extending Anthony Martial's stay. The France international is close to reaching an agreement with Manchester United over a new five-year contract, Sky Sports News understands.